In the Tudor period the original purpose of trade in cloth dwindled as merchants expanded their business beyond the fair through improved transport. The horse trade kept going, but the enterprise of Bartholomew’s was slowly given over to pleasure, until in Elizabeth’s reign it had become a great Saturnalia that attracted many entertainers and shady characters. Upon their arrival at a place appointed for that purpose, where a tent is pitched, the mob begins to wrestle before them, two at a time; the conquerors receive rewards from the magistrates. After this is over, a parcel of live rabbits are turned loose among the crowd, which are pursued by a number of boys, who endeavour to catch them, with all the noise they can make. While we were at this show, one of our company, Tobias Salander, doctor of physic, had his pocket picked of his purse, with nine crowns du soleil, which, without doubt, was so cleverly taken from him by an Englishman who always kept very close to him, that the doctor did not in the least perceive it. The fair had its own pie-powder court (of the dusty foot – a temporary jurisdiction), which dealt mainly with trade disputes, eg. in 1566 a man was committed to prison for using an unlawful yard stick to measure cloth. Tudor buildings in Cloth Fair, where the Lord Mayor performed the opening ceremony. The buildings were demolished before the First World War. Traditional foods were Bartholomew babies (gingerbread dolls) and Bartholomew pigs, roasted whole – the latter delicacy is said to have been craved by pregnant women. In Ben Jonson’s comic play Bartholomew Fayre the roasting was done by Ursla the Pig Woman, whose booth also served as a brothel and a centre for stolen goods. Another attraction was the “thinking” pig, which counted out numbers for the entertainment of the crowd (local horses were also capable of this miraculous feat). Jonson’s play was staged in 1614 and presented a panorama of life in London, satirising puritans and con-artists in particular. In the following year the site of the fair was paved and much improved, and by the middle of the century had spread across four parishes. After the Civil War the fair was lengthened to 14 days and the date was moved to September. “Hey, now the Fairs a filling! Yearly with old Saint Barthle! 1. 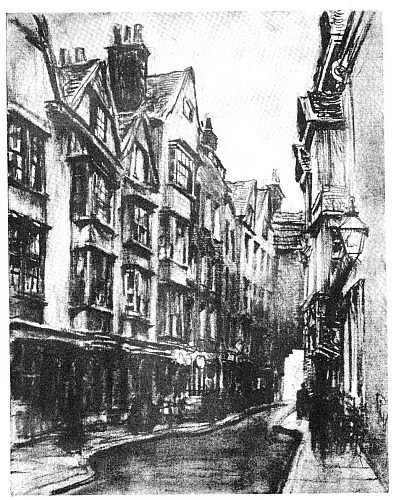 William Thornbury Old and New London (1878) vol.2 c.xliii. 2. Gamini Salgado The Elizabethan Underworld (1992) pp.60-71.